Delegate Allen Lee and Assistant Secretary Marcus Taylor seen here with Carol Price, the mother of Kendrick Price who was the fatal victim of gun violence. 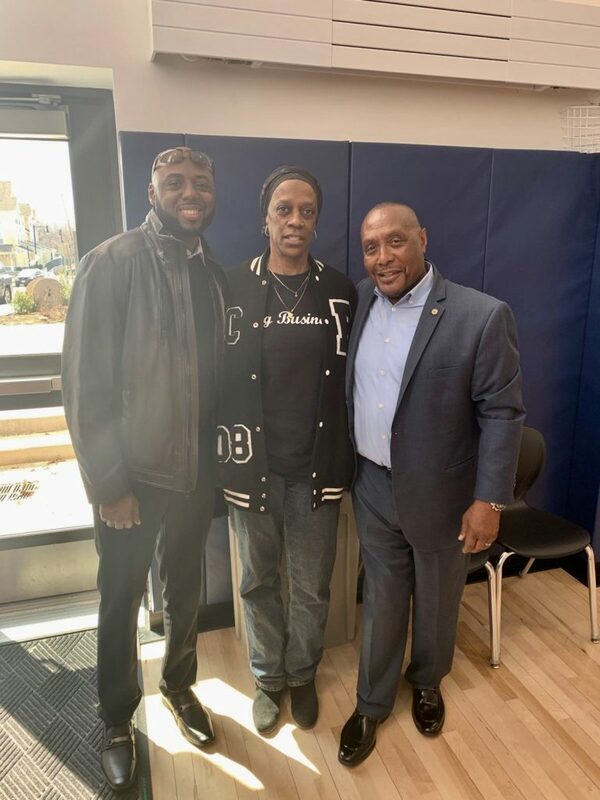 Kendrick was an assistant basketball coach at UMass Boston and coach of the boy’s varsity basketball team at the Edward Brooke High School in Mattapan. In his role at the Edward Brook School, Kendrick helped Local 589 secure space to conduct tryouts and practice for the upcoming 2019 ATU Basketball Tournament. A scholarship fund has been set up in Kendrick’s name to assist other Boston youth attend college. Delegate Lee and Assistant Secretary Taylor made a donation on behalf of the executive board.